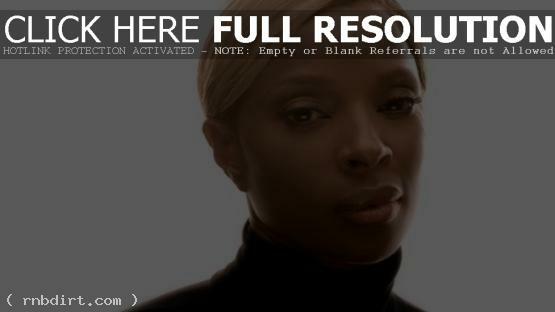 Mary J. Blige is out with the music video to her new single ‘Mr. Wrong’, off the Yonkers, New York R&B singer’s tenth studio album ‘My Life II… The Journey Continues (Act 1)’, out now on Geffen Records. “It’s an extremely soulful song that expresses the true level of love that a woman can have for a man who simply is no good for her,” song co-writer Rico Love told Rap-Up.com. “I wrote it because in many ways I am Mr. Wrong.” Watch the Diane Martel directed video via Vevo below. Mary J. Blige is out with the music video to her new single ’25/8′, off the New York R&B singer’s tenth studio album ‘My Life II… The Journey Continues (Act 1)’, out November 21st on her Matriarch Records label. Watch the Diane Martel directed video via Vevo below. Mary J. Blige is out with the music video to her new single ‘The Living Proof’, which is the theme song for the dramatic comedy ‘The Help’. The video includes scenes from the recently released film, which stars Viola Davis and Emma Stone. ‘The Help (Music From the Motion Picture)’ is out now on Geffen Records. I know it’s early but I’m on hsn at 10am through the rest of the day so I’m getting ready 4 that. It’s gonna be a long day. For my fam that’s late, I launched my fragrance on hsn this morning, it’s called My Life and I’ll be on all day! That was fun. I’ll be back in 30 mins to present some more “My Life”. See @ 11:45 am est. I will be back again during the 4pm hour 2 sell more bottles of “My Life” 2 help raise more money 4 FFAWN.org on HSN & HSN.com pls join me. Fam!! We did it!!! We broke records with the My life fragrance on hsn!!! and made history once again!!! 50k sold!!! Thank you so much!!!!!!! What an amazing support system!!!! You guys are the best!!!!!! Thank you HSN for the love and support you showed me and my fam!!!!!!! We really appreciate it!!!!!!! Mary J. Blige is out with the video to her new single ‘We Got Hood Love’, featuring Trey Songz, off the Bronx, New York R&B singer’s ninth studio album ‘Stronger with Each Tear’, out now on Geffen Records. Blige and football player George Wilson shot the Chris Robinson directed video in Miami, while Trey Songz shot his scenes in a New York City apartment. Watch it via Vevo below. Mary J. Blige was photographed leaving Radio 2 on Wednesday (March 10) in London, England. Check out pictures from zimbio.com. Mary J. Blige attended the 52nd Annual Grammy Awards at the Staples Center in Los Angeles on Sunday (January 31). The singer joined Andrea Bocelli in a performance of ‘Bridge Over Troubled Water’ by Simon & Garfunkel at the awards. The song is available at iTunes, with all proceeds will go to the American Red Cross, benefiting ongoing earthquake relief efforts in Haiti. Watch the performance at YouTube. Check out pictures of Mary at JustJared. Mary J. Blige was on hand for Clive Davis’ 2010 Pre-Grammy Party at the Beverly Hilton Hotel in Beverly Hills, California on Saturday (January 30). The singer spoke with the Grammys’ media guy on the red carpet about her decision to perform ‘Hard Times’ at the ‘Hope for Haiti’ fundraiser. Watch the interview via YouTube below. Mary J. Blige appeared on ‘Jimmy Kimmel Live’ to perform her new single ‘I Am’ on Friday (December 18) in Hollywood. The singer also did an interview with Kimmel, talking about her wardrobe malfunction, Christmas shopping for her children, being co-executive producer for the ‘Precious’ soundtrack, her foray into acting, and doing a guest judging stint on the new season of ‘American Idol’. The interview video at the ABC show’s YouTube channel has since been removed. I’m leaving I’m leaving Milan and I must say! It was an amazing trip! The Gucci fashion show was incredible!!! Thank you Frida Ganinni for teaming up with FFAWN! And to all the staff at Gucci for making this trip so special! !